Reynoldsburg Mayor’s Court hears most criminal and traffic misdemeanor offenses that occur within the city of Reynoldsburg and the City of Reynoldsburg with the exception of offenses committed by juveniles, second offense operating a vehicle under the influence violations (OVIs) and second offense driving under FRA (Financial Responsibility) or second offense OVI suspensions cases. In addition, civil claims, domestic violence charges, menacing by stalking and protection order violations are also matters that are excluded from Reynoldsburg Mayor’s Court jurisdiction. Mayor’s Court is in session at 9:00 a.m. each Thursday, excluding holidays. The charges brought in mayor’s court can be serious with fines ranging from $250 to $10,000, driver’s license suspensions, and/or jail time from 30 to 180 days, so it is important to have experienced legal representation. With a proven record and familiarity with Reynoldsburg Mayor’s Court, Funkhouser Law provides premier legal criminal defense representation and advice. Mr. Funkhouser and his associate personally guide clients through every step of the process—from arraignment to reviewing the evidence to ensure that clients receive the most favorable outcome possible with the least disturbance to their lives. The Mayor does not preside over the hearing, rather, a mayor-appointed magistrate hears all of the cases brought to court in the Reynoldsburg Mayor’s Court. There is no jury in mayor’s court, however, if one is requested, the case may be transferred to a municipal or county court. Similarly, if a trial is conducted in mayor’s court and the judgement is not favorable, a case may be appealed to a county court within 10 days. 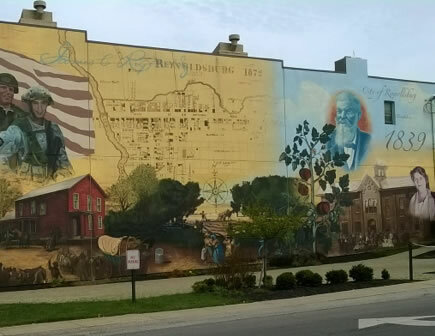 The City of Reynoldsburg, also known as “The Birthplace of the Tomato,” is a suburb of Columbus, located East of the Columbus metropolitan area. The city got its nickname when it allegedly bred the first commercial variety tomato in the 19th Century. For this reason, the city holds a tomato festival every year, naming its Tomato Festival Queen. This Festival Takes place in August. With a population around 36,000, the city hosts six elementary schools, two middle schools, two junior high schools and two high schools.